London is making a big push to claim the title as the fintech capital of the world. 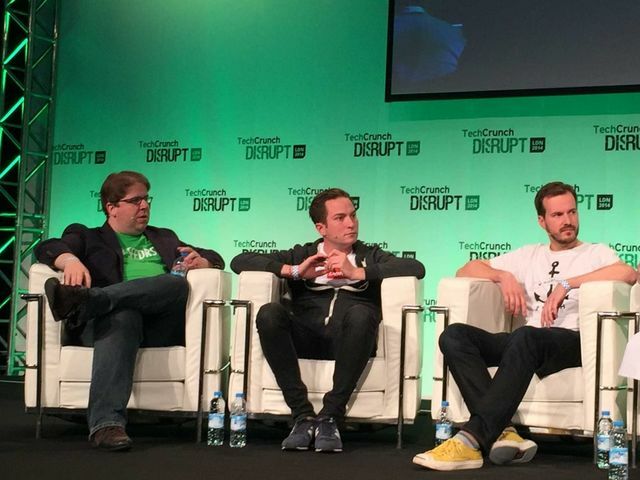 At TechCrunch Disrupt London, three executives from DueDil, Seedrs, and Transferwise discussed why London — particularly compared to places in the US — is the place to be for fintech. Damian Kimmelman, CEO of online document look-up service DueDil, said that London has a unique set of factors that mean financial tech startups can thrive. The US is restricted by a complex banking structure, he said, adding that "there's an abundance of data in London." Jeff Lynn, CEO of online crowdfunding site Seedrs, elaborated on why London is the perfect place for startups dealing with money. "There's now enough digital take-up to build big businesses. And there aren't many locked-in systems like in the US. You don’t have as much institutional opposition in Europe as you do in the US." The co-founder of money transfer startup TransferWise, Taavet Hinrikus, agreed with Lynn, remarking that "the UK is a very heavy early adopter community."